This fundraiser benefits the Nemaha County Historical and Military Museum. The 2018 cruise will be held in the Southeast part of the county. The 2018 Tractor Cruise route through SE Nemaha County will leave USC, LLC at the junction of W Rd. and 120th Rd, 4 miles south of 36 Hwy. We will head South on W rd. to 40th Rd. We will go East on 40th into Wetmore, turn South on Iowa Street and continue to 2nd Street where we will park the tractors for lunch. Aditionally, while parked, each participant will be able to tour the Robert (Bob) Carson museum buildings. Lunch will be served at the American Legion building on 2nd Street. After lunch, at 1:30 p.m., we will travel South on Kansas Ave., cross Highway 9, to 28th Rd. and travel west to Bancroft, where we will tour the railroad depot and park. At approximately 2:30 p.m., we will depart, traveling North on S Rd., cross Highwa 9, and continue to 96th Rd. We will travel East to W Rd. and then North completing our cruise back at USC, LLC. WOULD YOU LIKE TO BE A SPONSOR FOR THE TRACTOR CRUISE ? 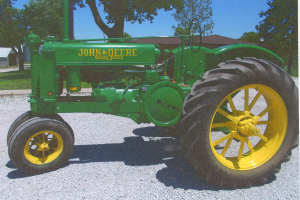 We invite you to be one of the Tractor Cruise and Show sponsors by sending a check and the 2018 Tractor Cruise Sponsorship Form to the Nemaha County Historical Society, PO Box 41, Seneca, KS 66538 by July 18, 2017. When we receive your check, we will mail a receipt to you.